Work with Broadway Star, Laurie Veldheer of NEWSIES & MAMMA MIA! and a music director on a NEWSIES song and dance combo from this beloved smash hit and on audition technique! 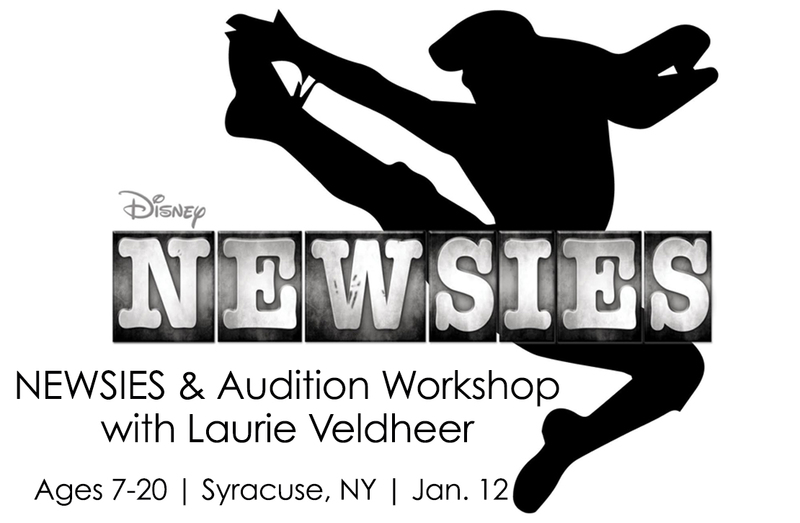 After we learn a NEWSIES song and dance combo, participants will sing a 16 bar cut and we will conduct mock auditions. Get feedback on your audition tech from Laurie and the music director and learn how to snag a lead role in an amateur or professional productions!